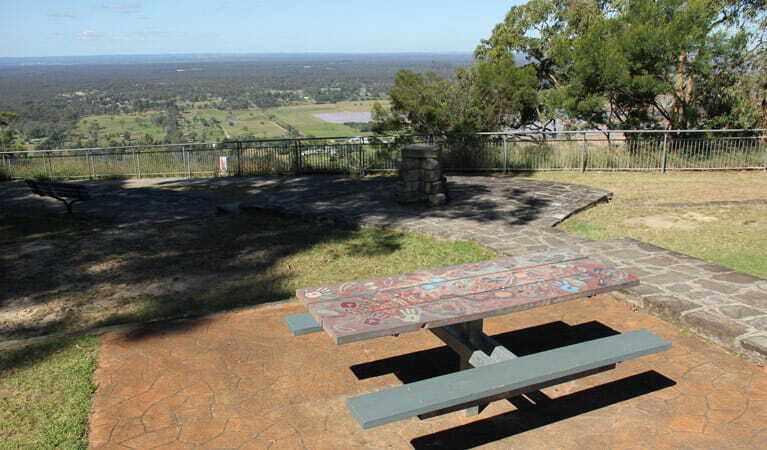 Stop to stretch your legs at Hawkesbury lookout. You’ll find it conveniently located on Hawkesbury Road at Hawkesbury Heights – one of the Blue Mountains’ smallest towns. 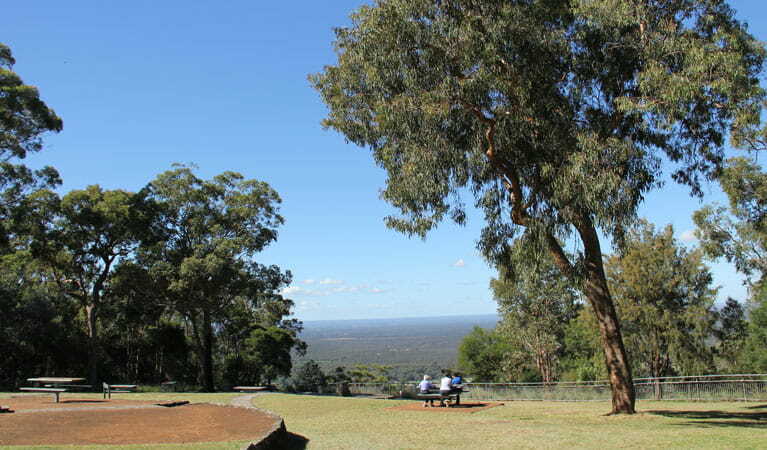 This grassy lookout is bordered by tall trees and is an excellent spot to pull over on your drive from the Hawkesbury to the Blue Mountains. 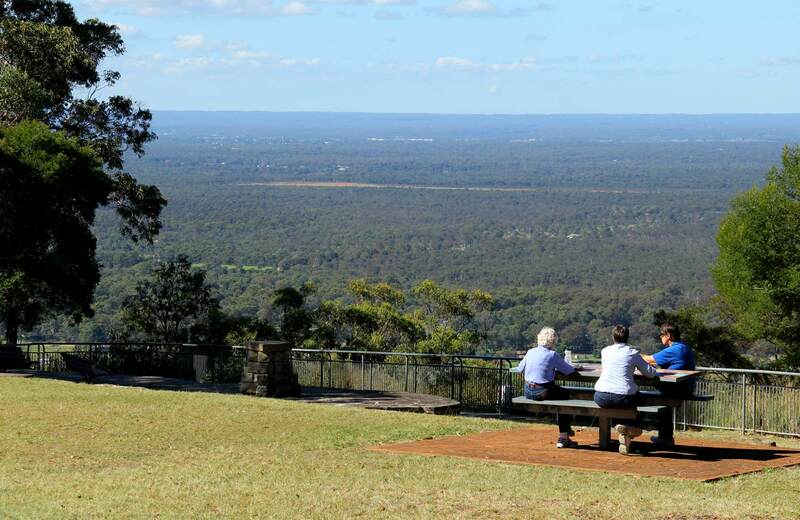 Relax on one of the seats in front of the view and look out over the Nepean River and across the Cumberland Plain. 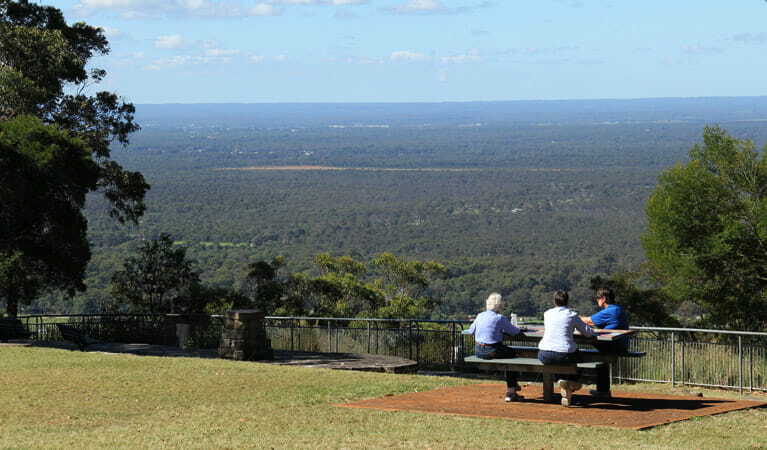 Bring a packed lunch with you – there are some picnic tables right near the lookout. It’s a dog-friendly park aswell, so bring him along, but please remember to keep him on a leash.